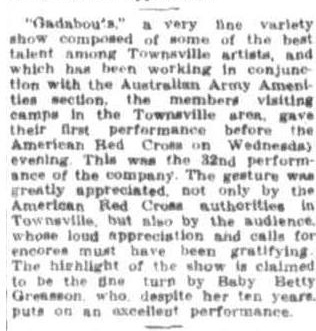 The Gadabouts were formed in early 1942 and comprised of a troupe of local entertainers. 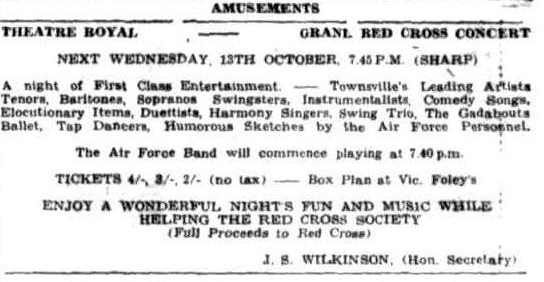 They provided weekly entertainment for the Australian and American forces stationed in the Townsville area. The management of the entertainment was always through the Army or Air Force Amenities. The visits also extended to camps in the Charters Towers, Sellheim, Mount Spec, and on Magnetic Island. 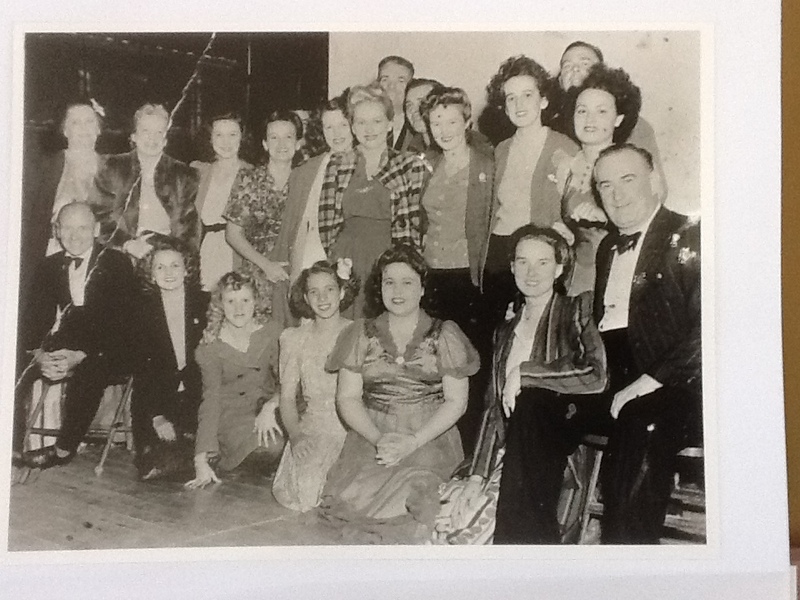 Every year a benefit performance was given for the Red Cross. The party was fortunate to have an organiser (Mrs Quirk) who was capable of designing and cutting out costumes for the group. The sewing was done by the girls themselves. 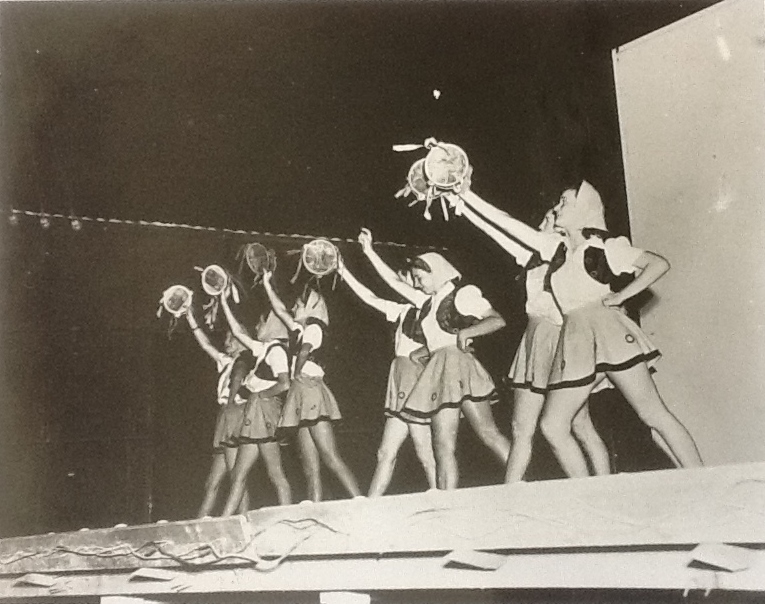 A team of eight ballet girls devoted two hours every Saturday afternoon to rehearse. 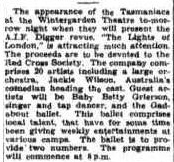 The Gadabouts were guest artists for a visiting wartime group in 1943. 1944 New Years Eve concert advertisement.